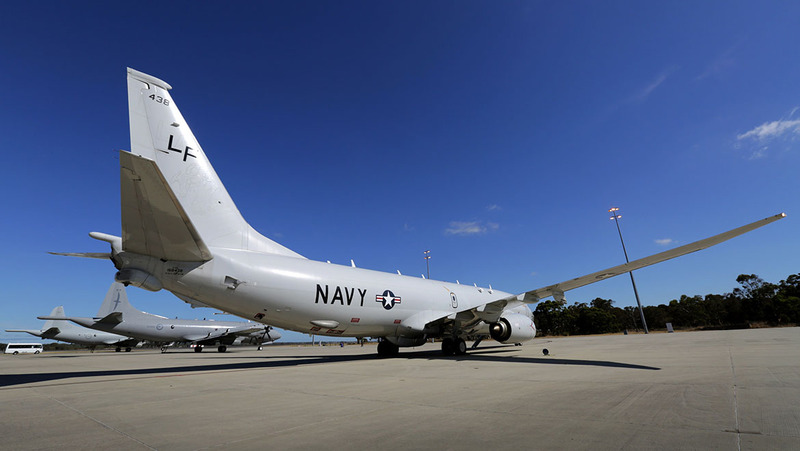 New Zealand is close to placing an order for four Boeing P-8A Poseidon maritime reconnaissance aircraft, with the country’s Defence Minister Ron Mark due to present the acquisition for approval to the NZ Cabinet Government Administration and Expenditure Review Committee on Monday. “I am confident now that the recommendation I will take to Cabinet committee stacks up, that it is robust, it’s justifiable and I’m in the stage where I am consulting with people,” Mark told a Foreign Affairs, Defence and Trade Select Committee hearing earlier this month, stuff.co.nz has reported. After consideration by the Administration and Expenditure Review Committee, final approval would then be made by the NZ Government’s cabinet, which could take place by late July. The P-8A would replace the RNZAF’s six ageing but upgraded P-3K2 Orion maritime patrol aircraft under the Future Air Surveillance Capability project. Last year a US Defense Security Cooperation Agency (DSCA) notification of the possible sale put the price of the four aircraft and a support and spares package at US$1.46bn (A$1.97bn, NZ$2.12bn), although this price could come down if packaged as part of a larger multi-year procurement (MYP) buy with other P-8 operators, the US Navy, RAAF and RAF. Australia is acquiring up to 15 P-8As, suggesting opportunities for trans-Tasman cooperation in training and maintenance support for the aircraft. It makes sense for the RNZAF to purchase the P-8A as it will be compatible with the RAAF similar to the previous RAAF/RNZAF usage of the Orions. Good on the kiwis. Glad they will be getting some new kit. Hope they get a nod for some new transports also. Excellent proposal, hope it comes to fruition sooner more than later. P3 replacement is academic with P8, but Herk replacement could be tricky A400’s or C130J’s?…. This is absolute nonsense Andrew. Helen Clark’s (without an e) Labour government actually invested more in the NZDF than the Bolger-Shipley government or the Key-English government. Yes the air combat wing was disbanded, but all three services received significant capital injections. You are right Andrew… The Clark legacy left the Airforce in a much weaker condition than it was before. Lost an enormous capability and while the disbanding savings gave the other services more to spend on there was very little that replaced the strike capability by making the navy stronger and more capable at the spear end. The same with army. The F-16 deal was approved by labors Quigley report yet sadly small mind thinking only made the NZDF a less of a defense force and more of a Peacekeeper force which sadly don’t win wars. Maybe things can change with the current government. Great news if it gets Cabinet approval. But the numbers are critical – replacing six P-3Cs with four P-8s isn’t a good sign. While the new aircraft are faster and should have much greater reliability when new, that advantage won’t last forever. Once they are 15+ years old and need more intensive servicing, the P-8 production line will be a distant memory and NZ could be stuck with insufficient aircraft. Australia has taken a much more forward-looking approach here, much though it pains a Kiwi to admit it! @ Andrew I like your thinking ANZACS all the way & similar could be done with an RNZAF F35 purchase some day. @ Paul I think the NZDF will purchase a few Tritons to supplement the P8’s instead of buying 6 new aircraft. I heard from a little birdie about the P-8 buy a couple of months ago. The same birdie said A400M for the Herc replacement. Number unknown but I would guess also four. I have heard the same rumour that the RNZAF could very well go A400M. When you think about it that aircraft makes sense due to the type of loads it is able to carry, NH90 for one. But will they think the A400M is a bit risky with all the delays and problems. Interesting, decision expected before November now. I agree with you, 4 is not enough, should be one for one replacement. Unfortunately seems like four is all NZ will get,let’s hope we get maybe six new transports to replace the C130. Any such purchase will be subject to a high degree of left-leaning politics. Ron Mark favours the P8 purchase becuase his old mates in the military are desperate to replace nearly 55-year-old warbird collectors items that are getting increasingly harder and expensive to service and maintain. Their ever-tightening budgets cannot cope. The other, and far more critical factor, is that NZ has a socialist-green coalition government, heavily reliant on peaceniks for support and supply to exist. These people do not want a cent spent on the military no matter how good a deal is offered. Laboiur will need the support of the National opposition to get these deals made – and the Nationals maintain no desire to make Labour look successful. The Orions will be forced to soldier on for a good few years yet. let’s hope none of them fall out of the sky in the meantime. It’s great to see the RNZAF getting the P-8, but yes like a few other comment she is four aircraft enough. You effectively have 3 P-8s as one is on phase or out for maintenance. The next one they need to sort out is the Hercules and 757 replacement. C-130J seems the favourite but I don’t think you can go past the KC-390. A400 to replace the 757. A decision can’t be far away on this surely? The C295 Transport aircraft would be ideal for troop transport/Para/Pacific Island/SATs – tasking while the A400 would be ideal for the longer/Heavier airlift and Antarctic tasks. Great stuff, can’t wait to see them in NZ skies, fits in perfectly with the RAAF P-8A’s. The UK has them on order and hopefully Canada also get them. C-130H replacement announcement not far away now. Fingers x for a suitable replacement for the Hercs. NEW EYES FOR 5 EYES..